When it’s time to buy a new car, it’s time to get excited! It’s the thrill of the hunt, and the idea that you’ve saved enough money and have enough resources to get something that no one has owned before. It’s a time to have something that defines you that has not previously defined someone else! But, along with the excitement of the new car, there are words of caution, and there are basic tips that you can follow to make sure that you’re getting the best deal on the right vehicle. Consider the following. 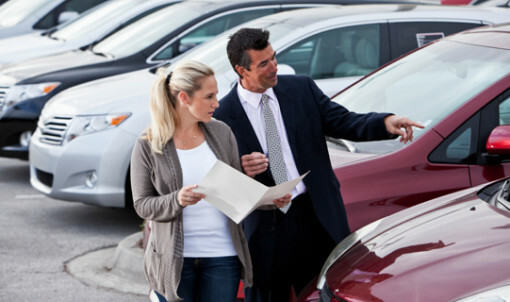 One of the most important things to do when buying a new car is be sure to go to a trusted dealer. It’s not hard to find out which places are more highly rated and why with a bit or research on the Internet, so don’t get ahead of yourself when it comes to finding the right lots to search from. And, in addition, you can also ask the opinion of friends, family and coworkers to see where they’ve had good or bad experiences. One trap that many people get caught up in during the hunt for the perfect new car is the fact that they don’t really know what they’re looking for before they head out. This is a quick and easy way to get fooled into something that doesn’t suit your needs, so be sure to have a checklist of all your requirements in your hot little hands before going anywhere to browse. If you have never used a Kelly Blue Book service before, you should do that before going to get a new car as well. Just browsing through the available information will give you plenty of opportunity to understand not only value, but value over time, and because a vehicle is an investment, you need to know how well it retains that attribute as it ages. Another mistake that many people make when heading out to buy a new car is that they don’t have a firm grasp on their own budget. They aren’t entirely sure how much then can spend on the down payment, and they don’t know exactly what they’re willing to pay per month. Get this set in advance! Lastly, it’s important to be prepared to deal with sales tactics at car lots. Even salesmen who are genuinely interested in giving you the best deal on the best car are going to push in certain direction by the nature of their jobs, so it’s important you know how to counteract that pressure when necessary.